Window 8 in a new version that make your life so easy. It comes with more beautiful feature than other OS. I write a little and simple article for you that you will be able to use window 8 easier than before. Knowing at least some of the Windows 8 keyboard shortcuts will make your Windows 8 experience much more enjoyable. 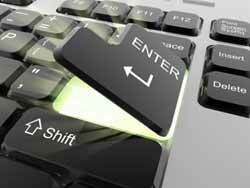 Try to memorize these top Windows 8 shortcut keys. The corners on your screen are hot corners and give you access to different Windows features. Below, is a brief explanation of each of these corners. Moving the mouse to the top-left corner and then down will display all the apps running on the computer. Clicking and dragging any of these apps to the left or right-hand side of the screen will snap that app to that side of the screen. Each of these open app icons can also be right-clicked to close or snap.It shows a beautiful feature of win8. The Search in Windows 8 has been significantly improved when compared to all previous versions of Windows. To search for a file or run a program in Windows 8 from the Start screen just start typing what you're trying to find or want to run.You don't need to click on any search bar. Just open the start menu by clicking on bottom left corner or window key. Type any thing you want to search from your computer. As you begin typing, the results will start appearing on the left-hand side. In addition to being able to search for files and run programs, the Search also supports limiting the search to apps such as Finance, People, Maps, Photos, Mail, Music, Videos, Weather, and much more. If what you are searching for is not a file or program, click on the app you wish to use as the search. For example, if you were searching for "New York" and selected the Weather App you would be shown the weather in New York, NY. By default, Search organizes the available Apps by how frequently they are used and then in alphabetical order. If you want to keep your favorite app at the top of the Search list, right-click the app and choose Pin. Pinning the app will lock it in place regardless of how often it is used. If there is an app you don't want (e.g. Finance) you can turn on and off any of the search apps through the PC settings, which is found under the Settings in the Charms.It is more reliable feature of win8 that makes it more powerful than other OS.